Cooking frittata is easy! ... and that's why I often cook frittata at home. The frittatta base that I always cook consists of six eggs and 1/4 cup milk in a 28 cm frying pan. The rest will be up to my imagination. Can my good imagination produce delicious frittata? Well, my answer is ha ha! ... LOL! Our frittata of the day is cooked according to my mood and also what we have in our pantry and fridge on the day. Most often, I will cook my husband and son's favourite which is caramelised onions, tuna, anchovy and cheese frittata which is made of six eggs, 1/4 cup milk, two deeply caramelised brown onions, two 100g cans of drained tuna, 1/4 cup of any grated cheese, salt and pepper to season and topped with one 45g tin of anchovy (oil removed) just before grilling. Dead easy, isn't it? 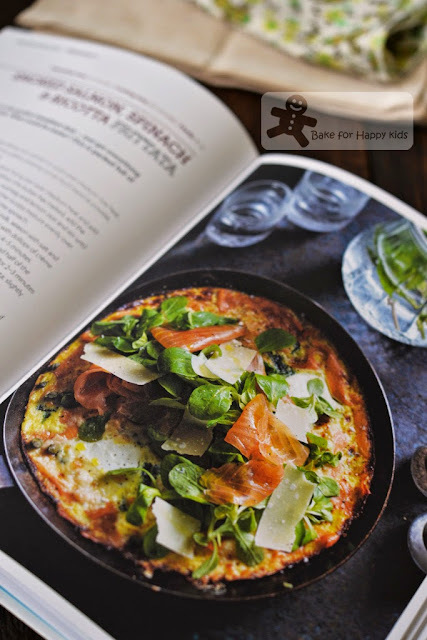 Here is another wonderful frittata combination that I have recently discovered from the book, Eat the Week... 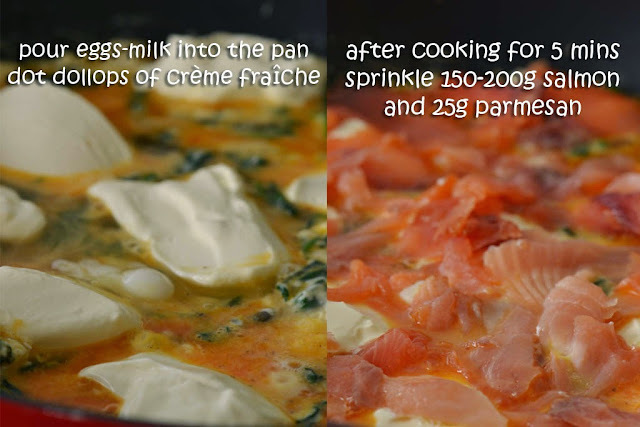 Given the fact that my imagination is sometimes limited to just easy and convenient cooking, this Smoked Salmon, Spinach and Ricotta Frittata is the luxurious kind of frittata that I would never imagine enough to cook! Luxurious frittata? 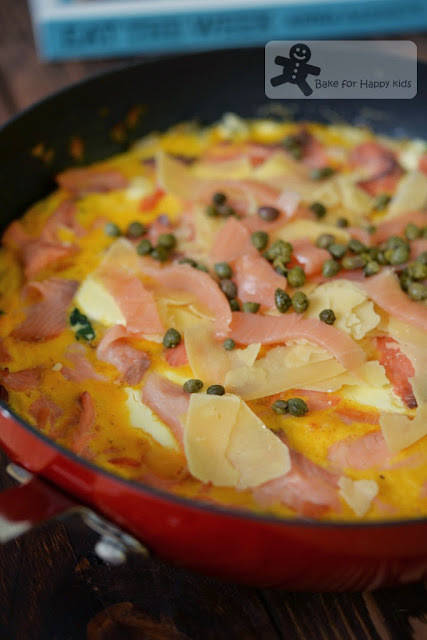 The recipe says this splash-the-cash frittata requires 300g smoked salmon and also caviar to serve.... Caviar??? Sorry to say caviar is never the food that I would normally eat. Besides, this massive amount of salmon is also not cheap! In regardless the money that I have to spend to buy these costly frittata ingredients, I have to say that I really enjoying eating this frittata. Trust me... I'm enjoying it not because it is expensive!!! LOL! I'm enjoying it because it is creamy, tasty and simply lovely! ... without the caviar. Sorry! 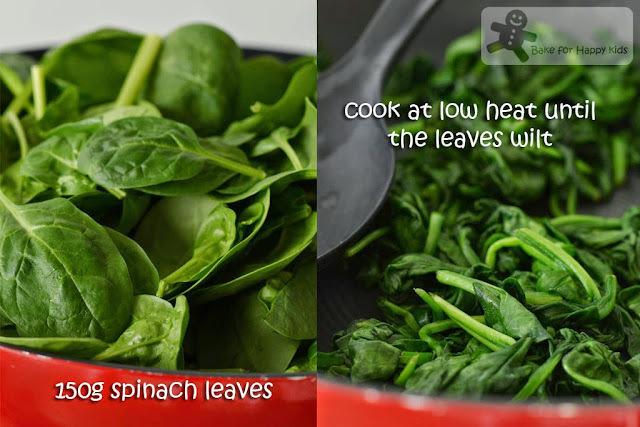 Start by wilting this amount of spinach leaves. Instead of using 300g mentioned in the recipe, I'm using 150g which I reckon is also a reasonable amount. 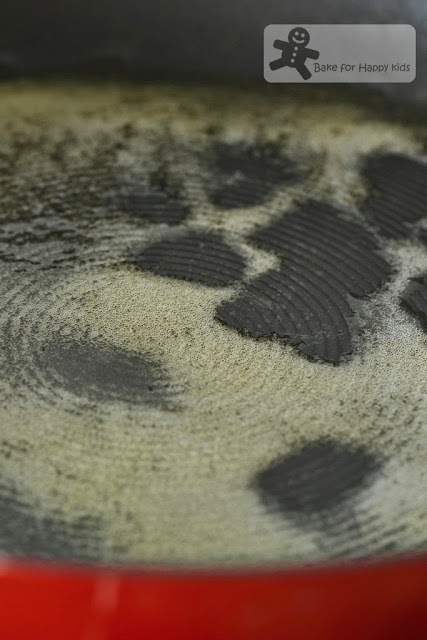 Place the leaves on a sieve and press out as much liquid as possible. The original recipe uses olive oil and doesn't mention the size of the frying pan. 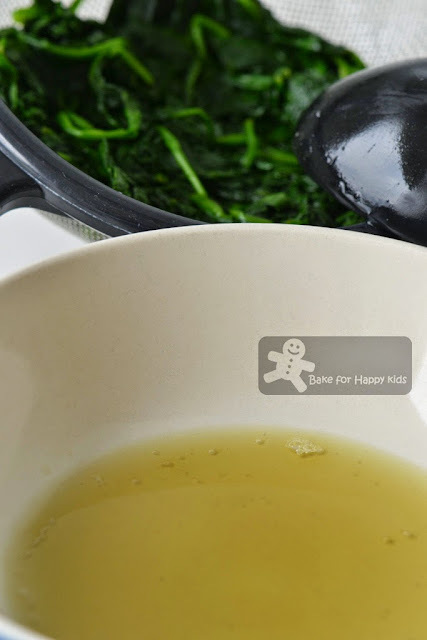 For me, I used rice bran oil and reckon this frying pan size has worked very well for this recipe. 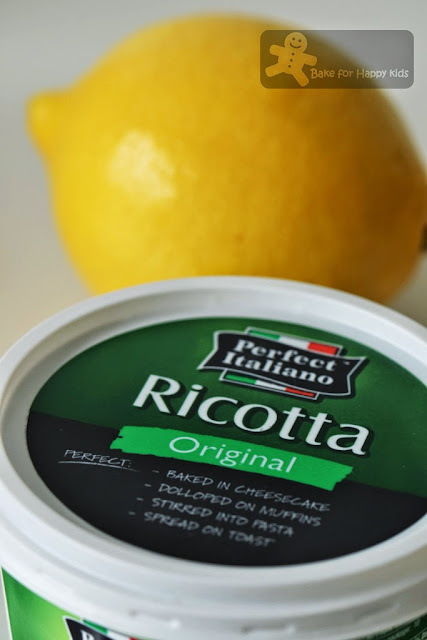 ... 220g ricotta and zest of 1/2 lemon into the pan of melted butter. 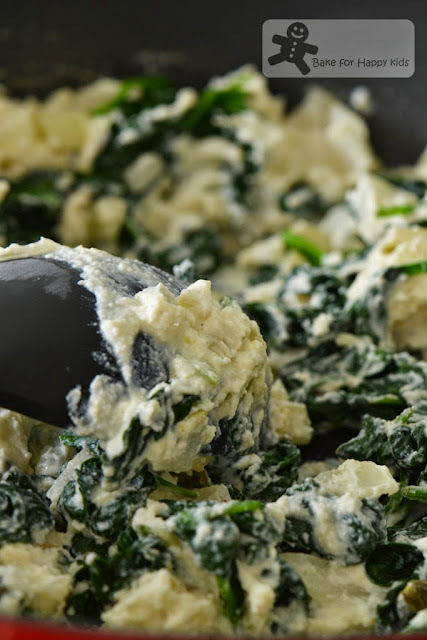 Stir in the spinach and spread the mixture evenly over the pan. Since I'm cooking the smoked salmon on the frittata, I don't have to use the expensive thinly sliced ones. 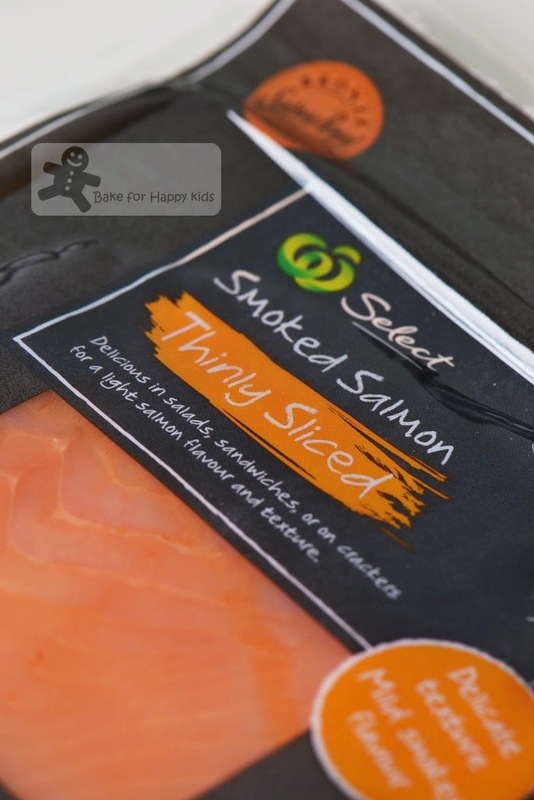 Glad to know that I can buy these odd sizes of premium salmon in a reasonable price and it is still great for its taste and cooking! 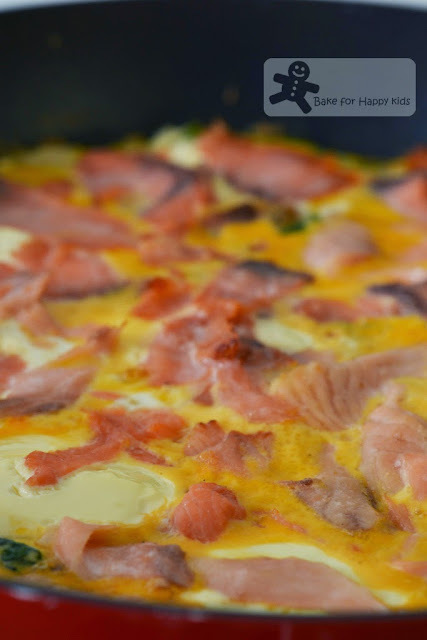 Now, I can afford to put 200g of smoked salmon on my frittata instead of 150g as mentioned in the recipe. Grill for 2-3 mins or until golden. Do not over-cook the frittata... it is ok if it is slightly sloppy. Oh dear!!! I forgot to add the Parmesan cheese!!! No worries... I will garnish the frittata with about 25g shaved Parmesan cheese now. Not forgetting to top it with extra capers, smoked salmon (for this I'm using the beautifully sliced ones). 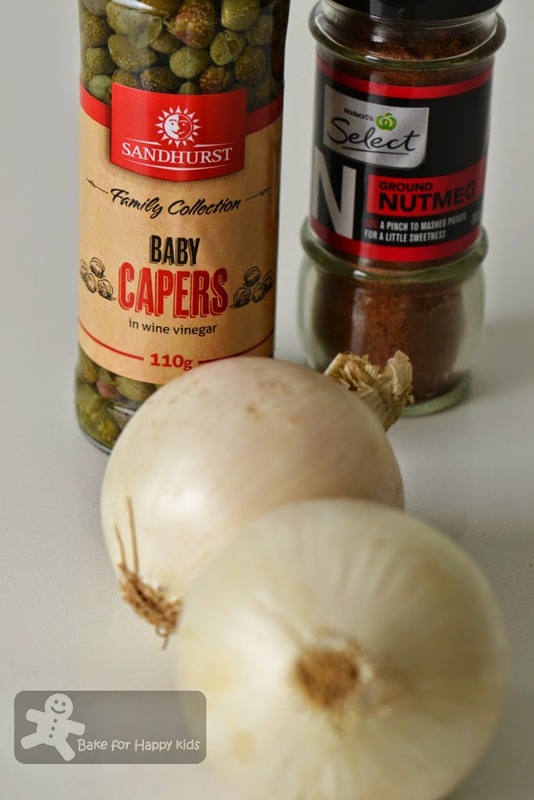 The recipe also mentions lamb's lettuce and caviar but I didn't have these ingredients with me. 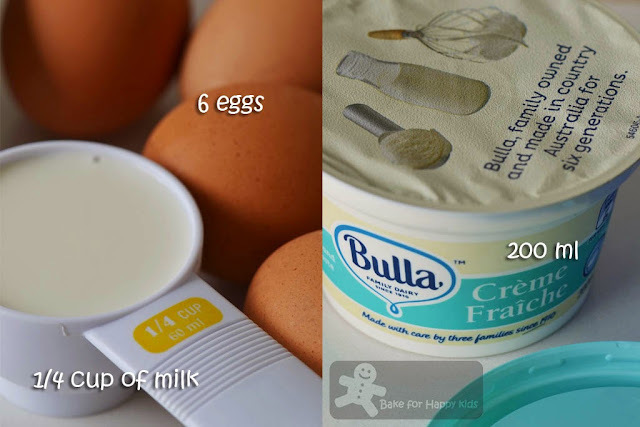 Creamy, tasty and simply lovely! Whether you are cooking this frittata for your family or your guests, I hope that you like this lovely recipe from the book, Eat the Week. Eat the Week is a lovely book that is fully packed with Anna Barnett's most loved recipes ranging from healthy breakfasts, lazy brunches, nutritious salads, easy entertaining, comforting dinners and delightful treats or desserts. Anna Barnett is fashionista-turned-culinary queen and has hosted literally hundreds of dinner parties. She lives in London and writes a weekly column The Reluctant Vegetarian for The Independent alongside her own blog, GetInMyGob. 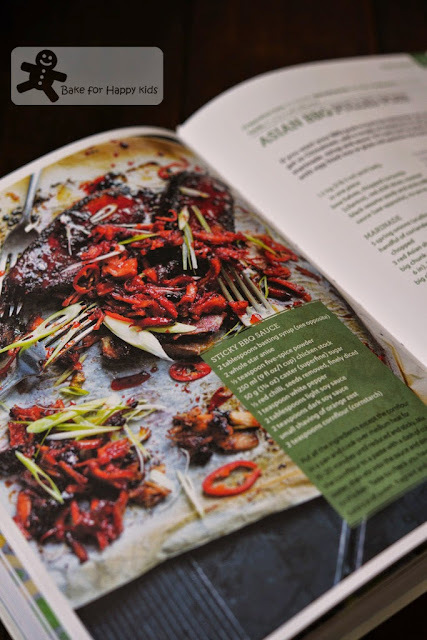 Her pop up restaurant at her house attracts many celebrity guests and she has been featured extensively in the media as shown in Anna Barnett Cooks. Reading Anna's book somehow makes me feel that she is like a fusion of Rachel Khoo and the younger Jamie Oliver. I can see a little of Rachel in Anna as they are both fashionable and pretty. Plus, both also have pop up restaurant in their homes and they can cook really well. Like Jamie when he was the naked chef, Anna's foods are easy, stylish, relaxed, made with a variety of cultures and fresh ingredients. Most obviously, both cook the best foods to break the ice and enjoy with friends! 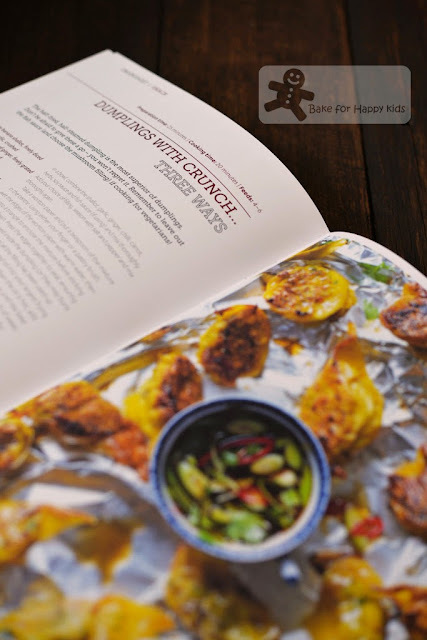 Dumplings with crunch... A great finger food for all occasions! Chirashi sushi bowl... Beautiful salad. Great as starter. Asian BBQ Pulled Pork... An extremely flavoursome mains! We usually finish off our meal with fruits, fulfilling desserts or a cake but I reckon these ice pops are really cute to enjoy as a refreshing finale. 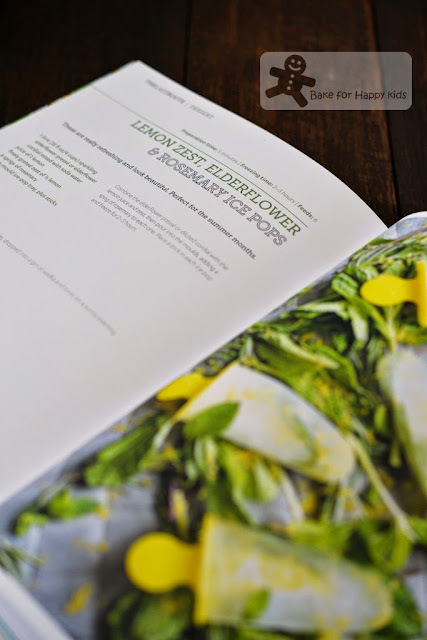 If you likes Anna Barnett and her feel good cooking, you can to buy her newly published book at a retail price of AUD$39.99 or win a copy of this book here. Eat the Week by Anna Barnett Book Giveaway Before ending this post, I like to thank Murdoch Books for giving me this opportunity to do this review. I like to make a disclaimer here that I'm not paid to do this and like to share my most honest opinions with everyone who read this review. I love frittatas too! 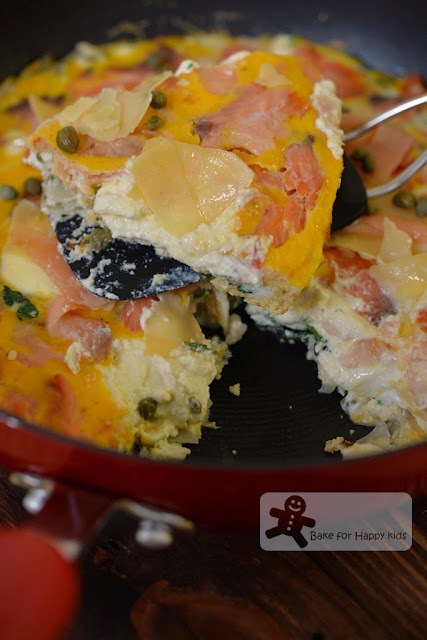 This luxurious frittata has all the ingredients I love! Yums! This looks so luxuriously yummy!! Looks irresistibly delicious! I would love it for lunch..
From the pictures, it sure looks very yummy! I love frittatas too! And make them often. This sounds like a terrific one! And the book sound excellent -- thanks so much. We love frittata too! This looks so creamy and delicious! Caviar, sound so classy in a frittata! And yes, costly too! Oh what a delicious meal this makes Zoe! I've been wanting to make a crispy type of frittata for a long time actually but haven't put in the effort! This looks to be a super yummy and healthy option for a filling meal! And yes, caviar isn't something I'd have on hand in my fridge or cupboard either! 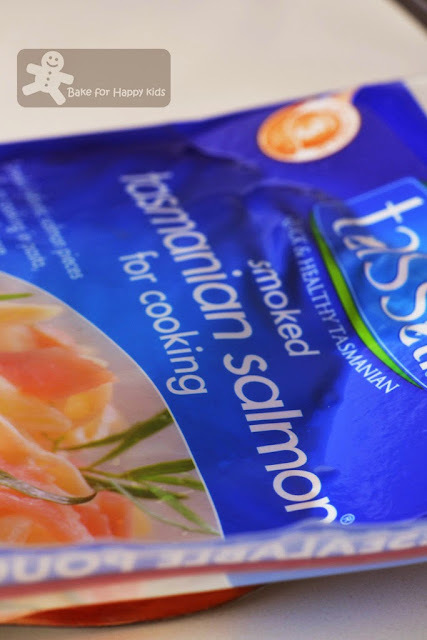 Smoked salmon has been pretty affordable though here thanks for the local smoked salmon maker in singapore Frassler! The import salmon and many other seafoods frozen and they make the smoked salmon here in singapore which I never realized! Oh and don't worry about your oversight on my blog post! 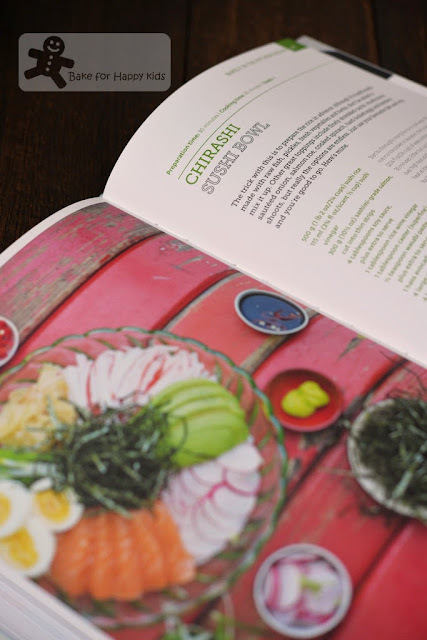 We all over look text sometimes when the images are so much more eye catching and yummy looking! I love making fritatta since I don't have to worry about crust!